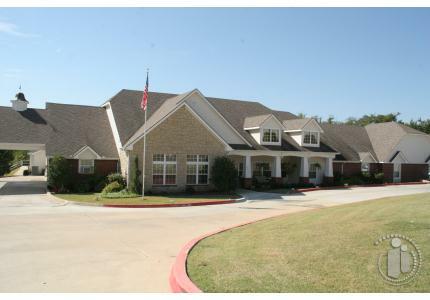 Sterling House of Ada provides our residents with lifestyles, housing, care and services in comfortable surroundings combined with exceptional amenities, programs and care. Through Brookdale’s signature Personalized Assisted Living we customize our care offerings for the individual. This allows each resident the freedom and opportunity to make choices that will ease their lifestyle transitions. Our residents enjoy life with the support they need, coupled with the appropriate accommodations as their needs change. We promise Respect for Individual Preferences by offering personalized care needs and providing an atmosphere that encourages each resident to live in health and longevity. We also offer special housing and care options for those who require assistance with the activities of daily living such as dressing, bathing and dispensing of medications. Our community offers graduated levels of care based upon the individual need of residents, as determined by our continual assessment process. We are dedicated to enriching the lives of our residents every day with signature services for those who value their freedom and independence, but desire or need services providing them with the highest level of quality, care and value. Executive Director that holds Residential Care License, Health Care Coordinator holds nursing license, CPR certification also licensed instructor of CPR, first aid. CMA's with current licensing, CPR and First Aid, CNA's with current licensing CPR and First Aid, Dining Service Coordinator to plan meals and nutrition requirements to each specific diet offered by Brookdale. All associates attend bi-weekly in-service and also attend core training as directed by Brookdale. When a resident poses a threat to self or others. A variety of life enrichment programs are offered and each resident can participate in those that interest them. We offer one-on-one life enrichment for those who have lost the ability to cognitively function on their own. Church Services, Bible Study, Bingo, Crafts, Yoga, Sittercise, Coffee and Conversation, Piano player, Friday socials, and Monthly Festivities.